UMIDIGI has announced a new smartphone, the UMIDIGI Power. As the name suggests, the power is given a lot of importance to the running time. That is not a new idea in itself. However, the smartphone, despite a battery capacity of 5150mAh, only 8.8mm thick, now is available to pre-order on AliExpress with $30 coupons. If you use the coupon, you can pre-order it for only $129.99. The UMIDIGI Power will go on global sale at $139.99 from April 22. 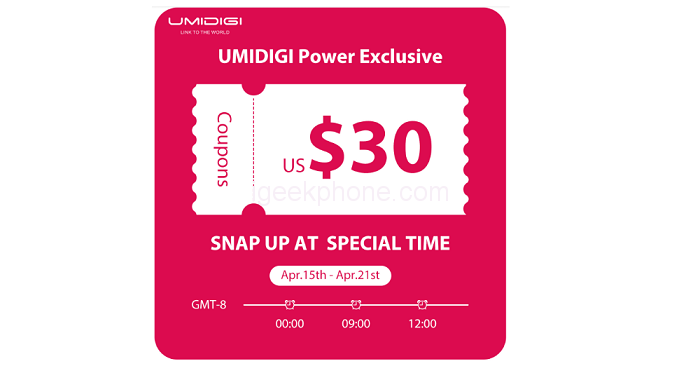 UMIDIGI offers many $30 coupons on AliExpress for the UMIDIGI Power. From April 15 – 21, you can grab the $30 coupon at every day 00:00, 9:00 and 12:00 (GMT-8). Limited coupons at each time, don’t forget to get them on time. Notice, the coupons are only available to use in the pre-order period until 21. 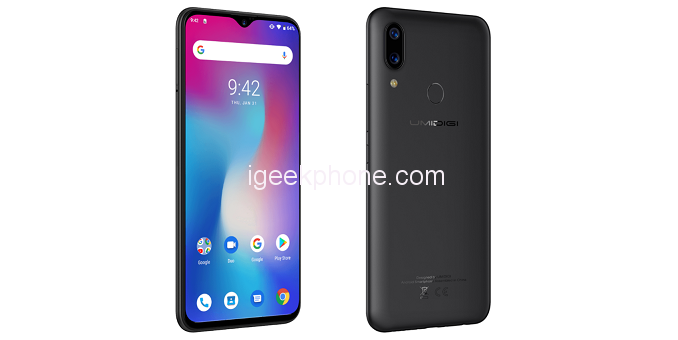 With its all-metal body and being visually similar to the Xiaomi Mi A2 and other competing company’s handsets, the UMIDIGI Power features a FullHD + display of 6.3 inches comes with the drop notch to house the camera of 16MP selfies, giving plenty of room for the full use of 92.7% of the LTPS screen, which has a ratio of 19, 5: 9. 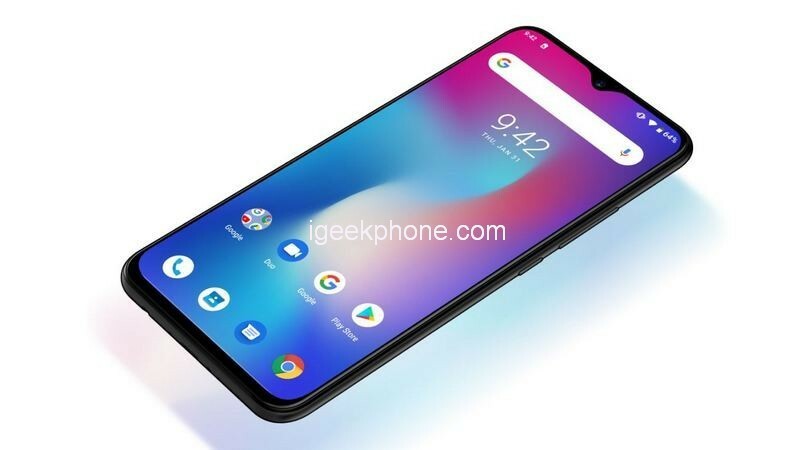 In the performance part, UMIDIGI did not want to be in the middle, since it has applied the Helio P35 processor in the device, providing superior performance to the smartphones that have the platform Snapdragon 625. To complete this part of power, the 4GB of RAM and 64GB of storage ensure good general usability, On the back, It has a circular-format fingerprint reader and the 16MP and 5MP dual cameras vertically aligned. 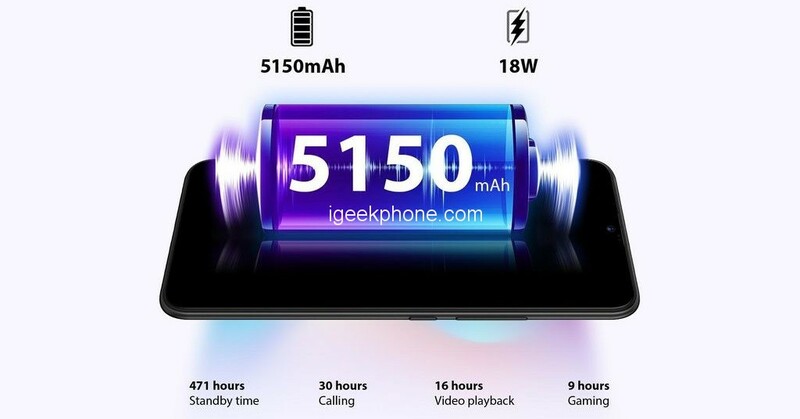 The main differential of this cell phone is the battery, which has 5150mAh of total power and having as an aid in recharges the fact that it has fast charging technology at 18W so that it does not need to spend several hours to get back to fully charged to this unit. Another difference that could not be ignored is that this smartphone is compatible with NFC, allowing the use of the mobile phone for payment of purchases and other options that this feature allows. In addition, it already leaves the factory with Android 9.0 Pie, which is the latest version of Google’s operating system.